These videos were produced for the CCD annual fund raising dinner. It features students that participated in various programs run by the centre and uses the many forms of dance as a metaphor for diversity. Directed and edited by Paul Hart. 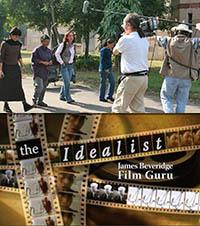 Produced by Nina Beveridge and Gordon James. Dancers: Frank Manzo, Laura Cota and Mark Samuels.